Montreal, October 30, 2018 – The YWCA Foundation of Montreal is pleased to announce the appointment of Ms. Édith Cloutier, President of Rogers Communication for Quebec, as its new chair of the Board of Directors. She takes over from Sophie Fortin, who chose not to stand for another term. “It’s with a great sense of accomplishment that I am passing on the torch to a remarkable woman whose leadership qualities, expertise and skills will certainly bring the Board and the Foundation to new heights,” says Sophie Fortin, outgoing chair. Isabelle Lajeunesse, Executive Director of the Foundation, welcomes this appointment and thanks the outgoing chair for her tireless commitment to the development of the Foundation. 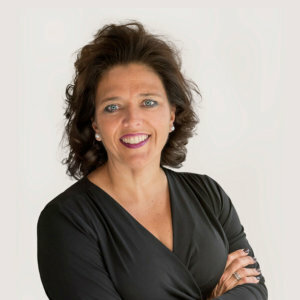 Holding a Bachelor of Business Administration from Simon Fraser University in Vancouver and an Executive MBA from the Université du Québec à Montréal (UQAM), Ms. Cloutier has held several senior management positions in major telecommunications companies prior to joining Rogers in 2016, then subsequently was appointed President of Rogers Communication for Quebec, in July 2018. Édith Cloutier’s dedication to the YWCA Foundation dates back to 2016 when she attended the Women of Distinction Awards benefit evening, the organization’s annual fundraising event. The following year she presided over the event and the relationship with the Foundation continued when she was named to the Foundation Board in September 2017. The rest as they say is history. It was by a unanimous vote of the Board of Directors on October 17, 2018 that Édith Cloutier became Chair. “Ms. Cloutier is undoubtedly an accomplished leader and a great ally of the Foundation. I look forward to working with the new chair to strengthen the Foundation’s funding capacity and to continue the work already begun in order to reach the objectives outlined in the 2016-2019 strategic plan,” adds Isabelle Lajeunesse. It is with a great deal of dynamism that the new chair begins her mandate. “It is a great honour for me to chair the Board of the YWCA Foundation and to be able to actively contribute to the advancement of women and girls in our society. There is still lot of work to be done to help those in need, but I know I can count on a team, who is as passionate and committed as I am to meet these challenges with energy and enthusiasm,” says Ms. Cloutier. To assist her in her new mandate, she will be able to count on the support of the current board members and two new recruits: Mariama Zhouri, Senior Manager at Deloitte and Sophie Roy, Marketing and Business Development Manager at Oatbox, who have just been nominated as members of the board. The YWCA Foundation of Montreal was founded in 1995 and supports the fulfillment of the YWCA Montreal’s mission to build a better future for women, girls and their families. It is an indispensable ally in terms of financial support and visibility for the organization and it helps make the YWCA Montreal a key reference point for women and girls in order to help them reach their full potential.